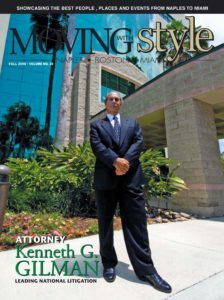 For over 40 years, attorney Kenneth G. Gilman and the firm of Gilman Law, LLP, Naples, Florida Securities Office has successfully represented the rights of investors in a comprehensive range of important investor and corporate matters, including shareholder and business transaction litigation. The Naples-based firm has also recovered hundreds of millions of dollars for institutional and individual investors. The firm and its Naples lawyers have a wide range of experience representing investors to recover the losses sustained due to securities fraud. The firm, based in Naples, Florida has, over the past 40 years, had the honor of representing investors in Naples, throughout the State of Florida and nationally. The firm’s managing partner, Kenneth G. Gilman was honored to be appointed by the United States District Court for the Southern District of Florida and served the Federal District Court as the Equity Receiver in the Intercontinental Commodities Litigation. Mr. Gilman represented investors in Naples, and throughout the State of Florida. Pursuant to his appointment, Mr. Gilman was honored to serve the Court in marshaling all assets and prosecuting litigation against responsible parties. Mr. Gilman also served as counsel to the Equity Receiver in the Lloyd Carr and Company fraud litigation and was honored to act as special counsel for the Department of Justice. In that capacity, Mr. Gilman, of the Gilman Law LLP Naples, Florida Securities Office, prosecuted complex litigation in the State of Florida and also in other Federal and State Courts. The firm’s litigation efforts resulted in significant recoveries for defrauded investors in Naples, throughout the State of Florida, and for the Department of Justice. The Gilman Law, LLP Naples Florida investment fraud attorneys and Ft. Myers Florida investment fraud lawyers have over 40 years of experience in handling Florida investment fraud law cases, and extensive litigation experience on behalf of individual and institutional investors in Naples, throughout the State of Florida and nationally. If you or a family member has suffered investment losses due to securities fraud, contact us as soon as possible to speak to a Naples Securities Lawyer. 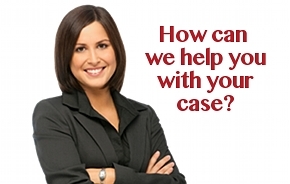 Most securities fraud cases are time sensitive and require immediate attention.